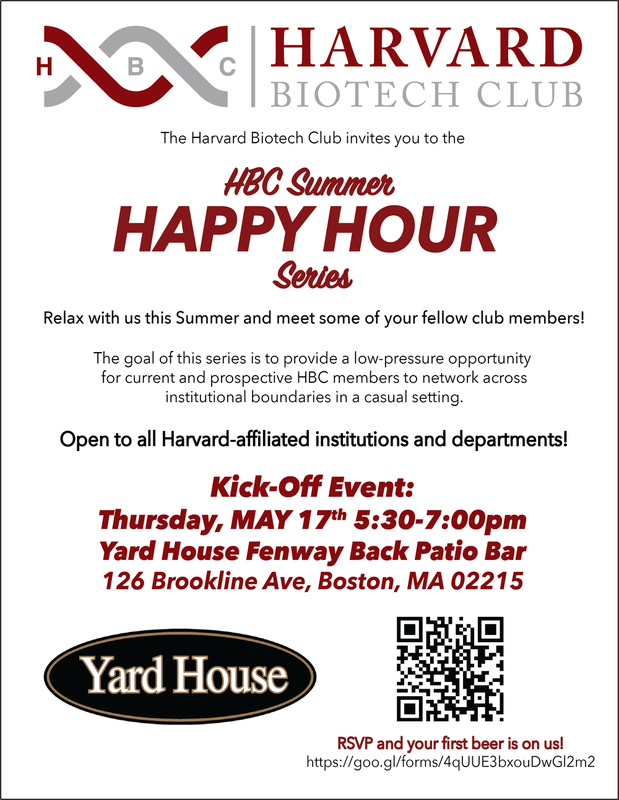 The GSAS Harvard Biotechnology Club is a student organization that hosts events and provides educational programs that allow members to explore the world of business and biotechnology. The Biotech Club's mission is to bridge the gap between industry and academia by providing the education, the skill set, and the network for students to succeed in life science innovation and commercialization. Interested in becoming a HBC member? And follow us on LinkedIn, Twitter & Facebook! Join us at Ideation 2019, hosted by the MIT Biotech Group and the Harvard Biotech Club. Get tickets HERE through 4/21 or until sold out. Learn more at our website. HBC.announcement@gmail.com with concise event information (format: Title, date, time, venue, description, contact info/event website) in text form. Please do not only send us a flyer! Please send us material at least 3 weeks in advance so we can include your event on the bi-weekly bulletin.